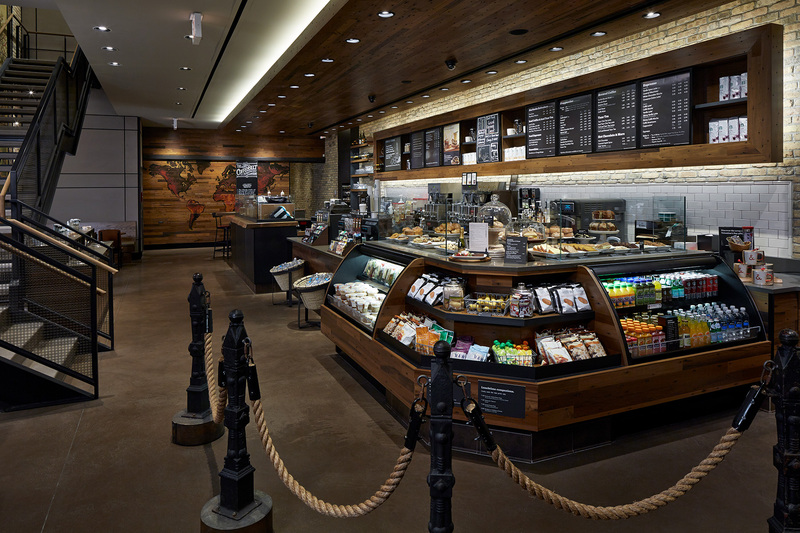 Under an on-call contract with this leading coffeehouse chain, we provided services for nearly one hundred locations nationwide, including sixty-six in Manhattan alone. 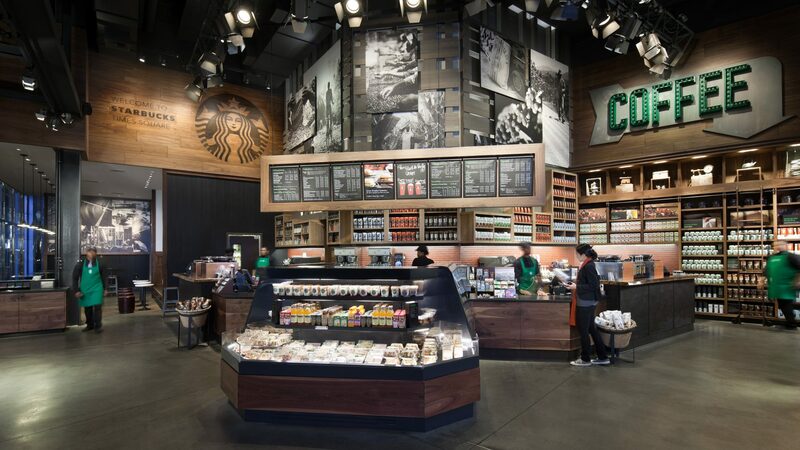 In one of our first projects, we worked alongside Starbucks’ team to renovate and expand a high-profile, high-traffic location in the very heart of Times Square. 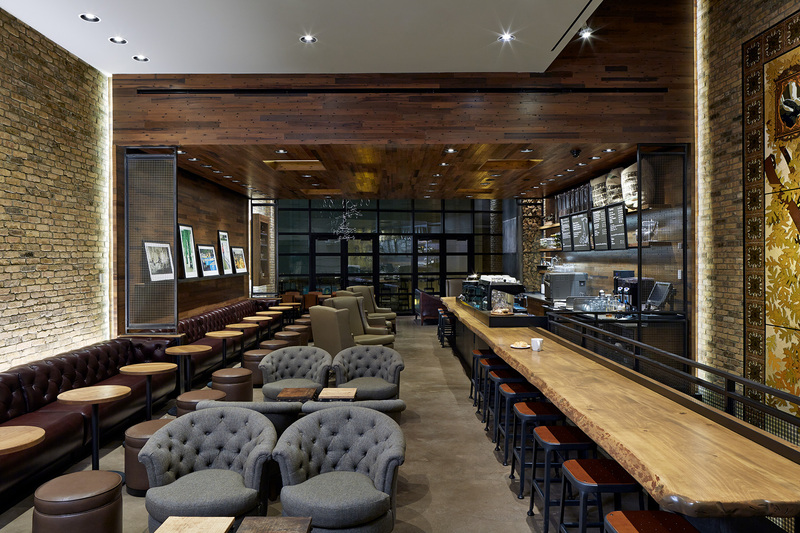 We used elements of two of the three design concepts Starbucks uses for each new and renovated store: their “Heritage” concept, which echoes the Starbucks’ first store in Seattle, and their modernist-inspired “Artisan” concept, which deploys exposed structural elements within a building. 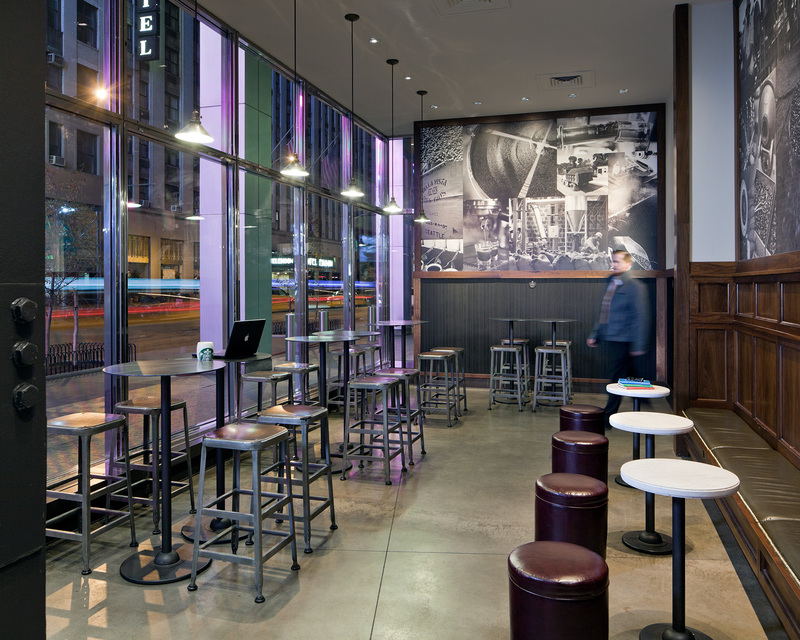 The space also references the media-fueled razzle-dazzle of Broadway, with Klieg lights suspended from the ceiling, and a multimedia wall displaying both the history of Starbucks and the history of the neighborhood. Another renovation, this time at located at Oak and Rush Streets in Chicago, also showed the inclusion of local architectural influences. Playing off the street name and organic shade grown coffee is an oak tree mural with insets of coffee vignettes; a five-foot diameter siren artwork made of over 7,000 nail heads complements the branding hand-painted onto reclaimed Chicago brick.